Back when I was younger I always used to wear rings, yet in the last five years or so, in fact maybe more I suddenly realised that I had stopped wearing them altogether and that I had done for a rather long time. There was no real reason for this other than the fact that the one ring I did wear every single day sadly broke. I to this day have never got around to getting it fixed at the jewellers which had up until now resulted in me never replacing it. For a little while now I had being looking at purchasing some new jewellery that I could wear regularly that didn’t break the bank yet would be durable and would also of course look pretty, all whilst being sterling silver. Whilst looking for bohemian themed jewellery a few years ago now I stumbled across Dixi and made a purchase of an amethyst necklace which to this day is one of my favourite pieces; you can find that in my Jewellery Collection post from last April. 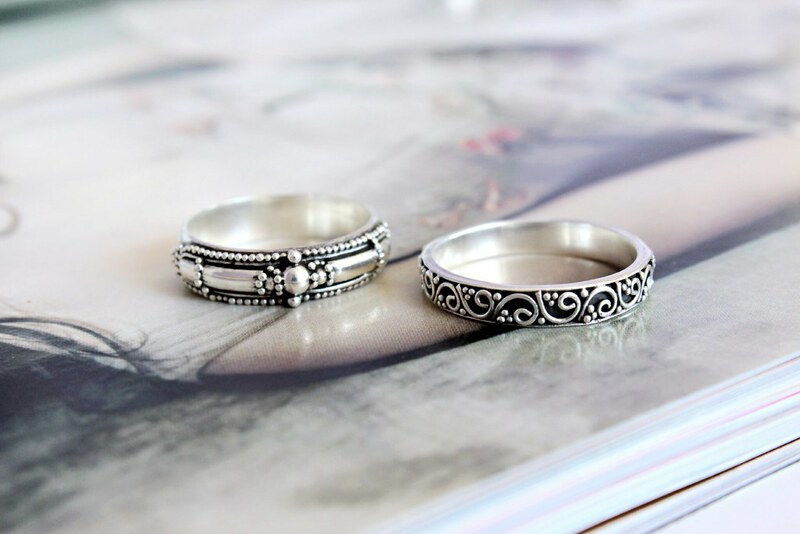 Ever since then the brand has always remained firmly in my mind, therefore it was only natural for me to return in order to purchase some of their rings. The first two rings I picked up were the most extravagant of the four as they have a little bit more going on in comparison to the others. Firstly the Supernova Burst Rainbow Moonstone Ring is without doubt the most striking yet is one I feel that I can’t wear all of the time, mainly because I’m worried I may catch it on something. Despite that one factor it is a ring that I absolutely adore and is one that I enjoy wearing when I’m going out. It is for me a statement piece as my jewellery is generally very reserved yet this is the one item I own that has a little something extra about it; it’s certainly eye catching and quite mysterious in its own charming way. Secondly I have what I think is probably my favourite out of all of them which is the Arya Black Onyx Ring. This is one that I wear almost all of the time as it is incredibly unique as well as being small enough to wear every day. Originally I purchased this in moonstone I believe however because I got the sizes wrong by the time I returned it the moonstone version had sadly gone out of stock. However I truly believe that was fate because I do actually prefer the black onyx version even more so than the one I originally ordered therefore I’m extremely lucky that I now have this within my collection. To replace a much beloved thumb ring I decided to order the City Beneath Ring which again is one that I wear alongside the Arya Black Onyx Ring. It’s discreet and simple yet with the intricate little design on I think it adds something extra as opposed to a plain silver band; having said that I still do want a simple silver band at some point as they look gorgeous. My most recent purchase is the Amitah Ring which comes from the most recent Dixi collection, that being the Warrior collection. This is so beautiful; in fact it was the first item that stood immediately out to me when the collection was first released. I really like the fact that it is chunkier in comparison to my other rings from Dixi, of which despite this I still think that it is really feminine and that it offered something very different to what I owned up until I purchased it. I have found though, that despite it being the same size as the others (barring the thumb ring) that it is a little tighter when putting it over the knuckle area. I’m putting that down to the fact that it is just a thicker ring therefore there is a little less manoeuvring available when putting it on. 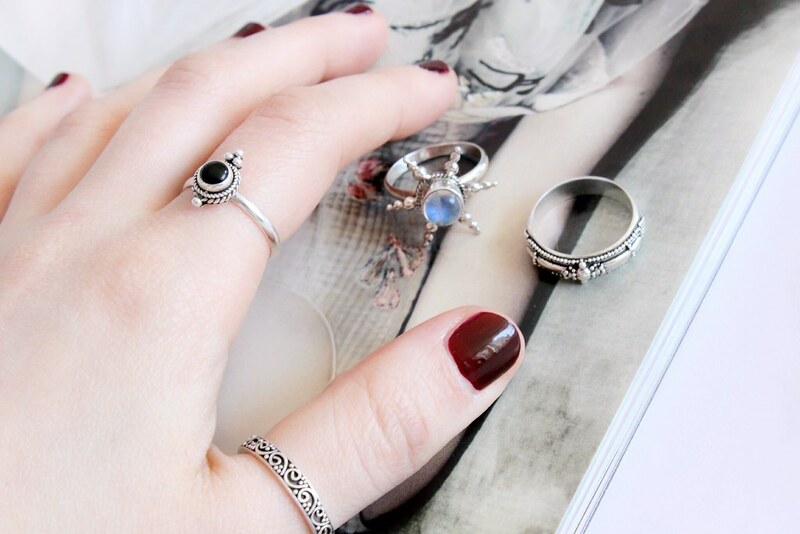 Overall I have to say that my first ring purchases with Dixi have been fantastic. 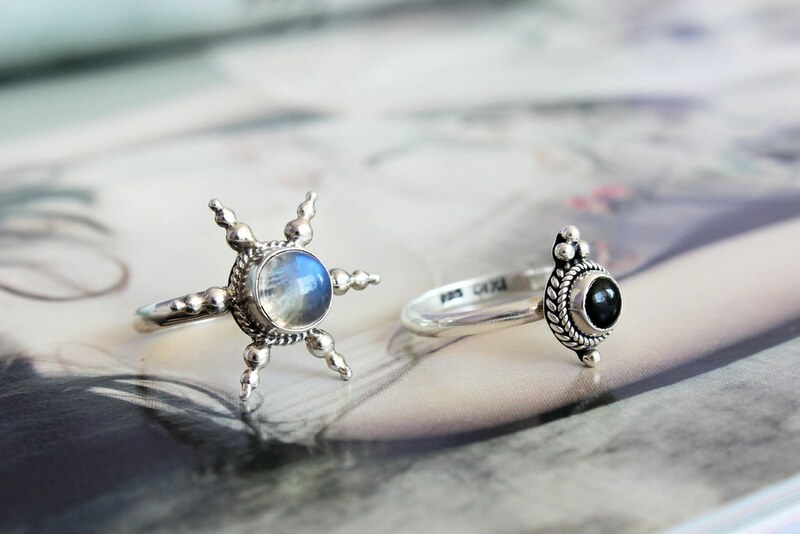 It took me a few attempts to get my ring size right as having not purchased a ring for a long time and of course having not tried any of them from Dixi before it was always going to be a bit difficult to gauge it correctly at first. Therefore after a few returns and excellent customer service from the team at Dixi I now have a few rings that I can wear alone or together so that once again I’m sporting jewellery that I absolutely adore. 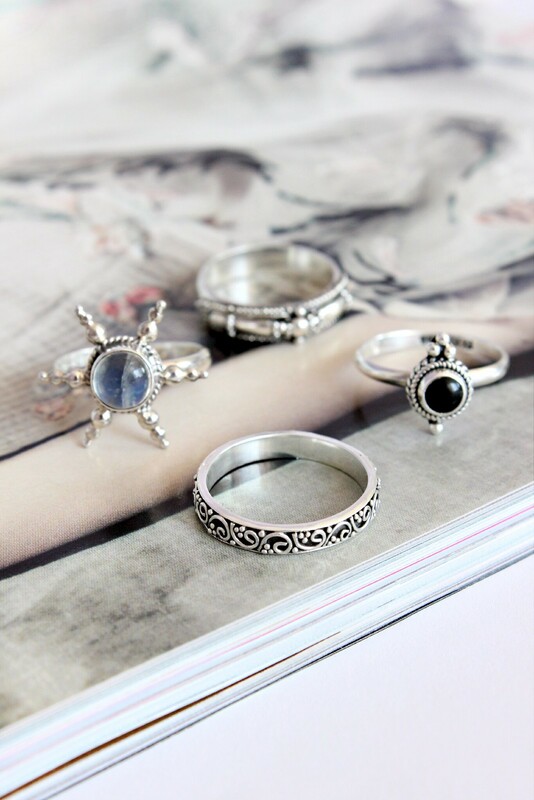 Have you checked out Dixi?